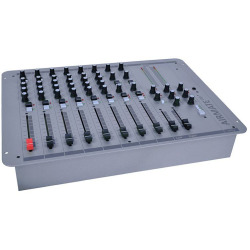 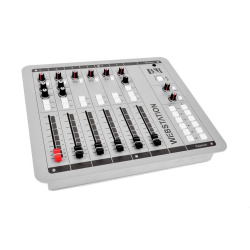 D&R AIRMATE-USB 8 kanaals mixer console met triple-ingangen. 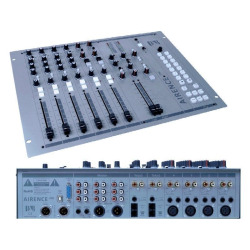 D&R Airmate-USB mixer console is speciaal ontworpen om als centrale unit te functioneren voor uw lokale radio - productie - studio of thuis Optie : AES/EBU digital stereo output and AES digital 2 track input plus existing analog outputs on 2 jacks. 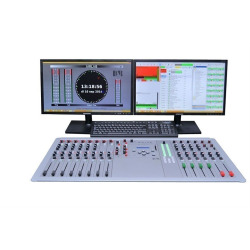 D&R Airlab-DT production console loaded with 6x Triple Inputs EQ | 2x Triple inputs no EQ | Master | USB Control Module | 4x USB in/out modules | 2x Telco Modules and software metering.